In the last three months, the Ghanaian media landscape has been dominated by discussions about the dangers of illegal mining. Although Ghana has had a formalised process for engaging in artisanal and small-scale mining (ASM) on a legal basis since the late 1980s, an estimated 85 percent of small-scale miners in the country operate on an illegal basis. 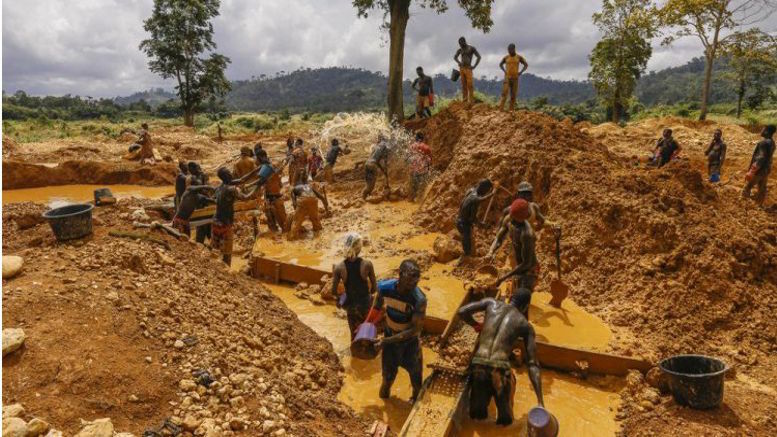 Popularly known as ‘galamsey’, illegal mining has had significant adverse implications in Ghana, ranging from revenue losses to the state (as illegal miners do not pay taxes) to the pollution of important water bodies, among other problems. In March 2017, the Ghana Water Company warned that the spate of water pollution by illegal ASM operators is approaching alarming levels, and that the country risks needing to import water for consumption by 2020 unless illegal mining activities are curbed. 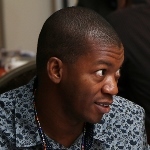 This revelation, along with widespread media campaigns, has resulted in an unprecedented national consensus against galamsey, prompting action among a wide range of state and non-state actors, including the presidency, the judiciary, security services, the Ministry of Lands and Natural Resources and various civil society organisations. Yet, whether these renewed efforts will succeed in eliminating illegal mining depends significantly on an understanding of why the impact of past approaches to redressing this problem has remained disappointing. 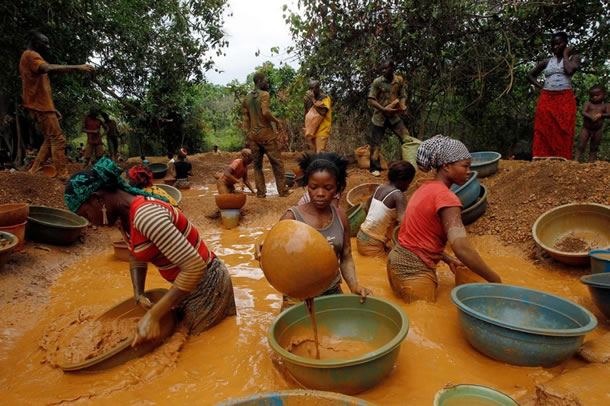 Why has the fight against galamsey been unsuccessful thus far? Our research, which was part of a wide comparative project, highlights the inherently political nature of illegal mining in Ghana, and suggests that any anti-galamsey crusade that fails to tackle the political drivers of the problem is unlikely to succeed. 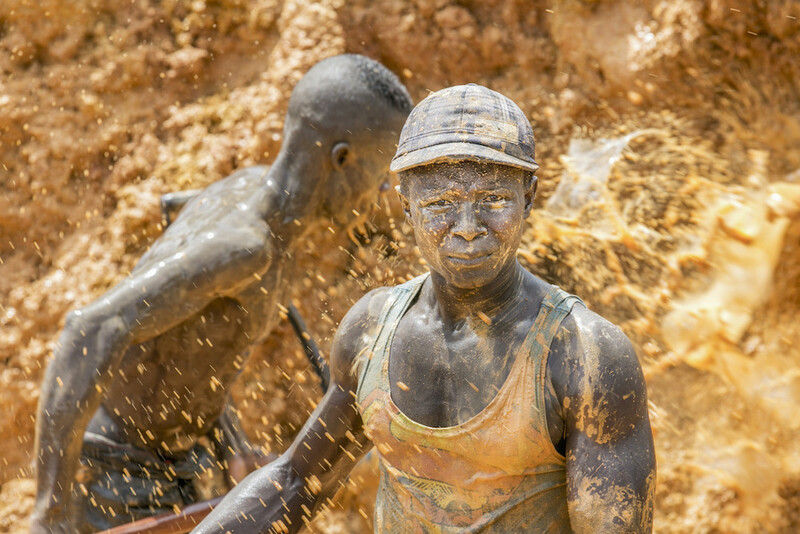 The growth in illegal mining in Ghana has been widely linked to the cumbersome and time-consuming processes involved in acquiring the necessary licences for engaging in ASM on a legal basis, widespread poverty and youth unemployment in rural areas, and perceived social injustices resulting mainly from the displacement of indigenous communities by large-scale expatriate mining companies. Consequently, efforts to curb the galamsey menace have focused on the provision of technocratic solutions, such as simplifying and decentralising the ASM licensing regime, the provision of alternative livelihood opportunities for displaced communities and small-scale miners, the demarcation of land plots reserved for ASM operators; and some occasional ‘military crackdowns’, in which armed security forces raid the sites of miners to arrest them and confiscate their assets. All these approaches have failed because the political drivers of the problem have often been ignored. This relates in particular to the nature of electioneering campaigns, the network of powerful actors engaged in this phenomenon, and the challenge this poses for the effective enforcement of anti-galamsey laws, and ambiguities around land tenure practices. As electoral competition has become more intense, the galamsey discourse has become increasingly partisan in nature; opposition parties often bolster the position of illegal miners in order to make those in power unpopular and gain partisan political advantage. The two dominant parties are especially guilty of this problem. In late 2006, the NPP government initiated Operation ‘Flush-Out’ – a military ‘sweep’ against illegal miners that resulted in the confiscation and destruction of the equipment of galamsey operators. 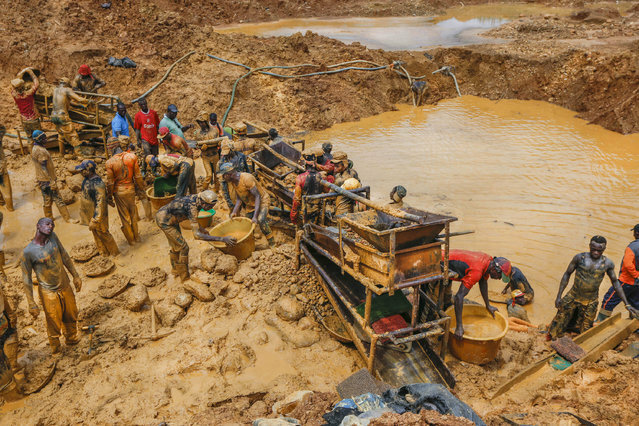 This operation formed an important part of the campaign message of the opposition NDC, which campaigned on a platform that was sympathetic to small-scale mining youth engaged in galamsey. The late John Atta Mills, the party’s presidential candidate at the time, continually blamed the leadership of the then ruling NPP for conflicts between small-scale miners and large-scale companies, and reportedly asked why the NPP was treating galamsey operators as if they were ‘not Ghanaians’. Once Atta Mills won the 2008 elections, his government came under intense pressure from youth groups and small-scale miners to make good on his promises to provide greater support for the sector. The NPP, now in opposition, capitalised on the small-scale mining community’s perceived alienation in the next elections by pointing fingers at Mills’ broken promises. Importantly, just as the NDC did in 2008, the NPP’s campaign strategy for the 2016 elections was couched in a language that pointed to its support for galamsey, even if unintentionally. During a campaign trip to Obuasi, the party’s presidential candidate, now President Akufffo Addo, drew the attention of party supporters to how the Mahama-led NDC government ‘directed soldiers to come and drive out all persons involved in galamsey’. It is on the basis of these types of statements that galamsey operators have openly expressed their feelings of betrayal by the current NPP government in its effort to curb illegal mining activities. Galamsey operators are aware of the importance of their votes for incumbent political parties, and have often exploited the political vulnerability of those in power (due to intense electoral competition) during election years. Around the 2016 elections, galamsey miners set off to vandalise the offices of various political parties, amid chants of ‘no galamsey, no votes’. Illegal miners have recently repeated such threats, asking President Akuffo Addo to halt his fight against their operations or risk being voted out of power in 2020. These observations draw attention to how a partisan political divide has contributed to undermining prospects for an inter-party consensus in enforcing laws within the ASM sector. Illegal mining has persisted in Ghana not because of weak state capacity, as some have claimed, but primarily because of political leniency and law enforcement corruption. One of our key informants at the Ministry of Lands and Natural Resources attributed the galamsey phenomenon to ‘a complete lack of political will’, arguing that the people who have the responsibility to curb illegal mining activities tend to benefit from them: ‘the chiefs are culpable, the Assemblies are culpable, some MPs are culpable, some ministers are culpable. That is how bad it is.’ In this respect, illegal mining has continued to flourish because it serves the interests of a wide range of actors, including some chiefs, who gain through the royalties they receive in exchange for land; and the political, business and local elite, who own the concessions that operate outside the legal mining framework. In this respect, the answer to the questions posed above does not lie in technocratic approaches such as the demarcation of land plots suitable for ASM activities. A third crucial factor relates to ambiguities around land tenure practices in Ghana. Although all minerals are formally vested in the president in trust for the people, the continuing influence of chiefs over land in Ghana has practically given rise to two parallel systems of mineral licensing – one formal (granted by the state to large-scale mining companies) and the other informal (granted mainly by chiefs to galamsey operators). As a result of the historical power struggles between politicians and chiefs over mineralised land since the colonial period, land ownership remains very complex in Ghana. There are two main categories of land ownership today, namely state lands, compulsorily acquired by the government through the invocation of appropriate legislation; and vested lands, belonging to customary authorities (stools, skins, clans and families). In all, more than 80 percent of land in Ghana is under the control of chiefs, implying that most mineral operations, both by large-scale companies and ASM operators, occur on stool land. Some chiefs have turned their control over land into widespread de facto power at the local and national levels, effectively utilising it in exacting tribute from both legal and illegal galamsey dealers. In effect, we show that galamsey has continued to flourish in Ghana because policymakers are yet to fully appreciate the inherently political nature of the problem. Relying on purely technocratic approaches to curb an inherently political problem would at best continue to yield sub-optimal results. This blog is based on ESID Working Paper 78, ‘Competitive clientelism and the political economy of mining in Ghana‘.